How Long Does Inpatient Xodol Rehabilitation Last? Xodol is a prescription painkiller containing a combination of acetaminophen and hydrocodone. The hydrocodone component is an addictive opioid pain medication, and its effectiveness is increased by the acetaminophen. Once addicted, a person should attend a Xodol rehab program to end their dependency on the drug, and in order to experience a reduction in withdrawal symptoms when they do stop using. With 9.3 percent of the US population reporting use of hydrocodone for recreational purposes, according to a 2009 National Survey on Drug Use and Health, rehab facilities for Xodol and other hydrocodone addictions are becoming commonplace. Finding a rehab program that can help still requires a bit of research, though, but a call to 1-888-341-7785 can shorten the time needed by putting you in touch with a treatment advisor who is knowledgeable of addiction treatment options. Therapy for Xodol addiction can be conducted on both an inpatient or outpatient basis. As long as the Xodol rehab program offers adequate solo and group sessions, both means of treatment can be effective; however, inpatient care is recommended for those with more severe addictions. Detoxification from Xodol requires constant medical supervision to deal with any dangerous withdrawal symptoms; this requires the user to be admitted into an inpatient facility where that supervision can easily be given. Quitting cold turkey or even attempting to wean yourself off Xodol after becoming addicted is not an easy process. The withdrawal symptoms can be extremely uncomfortable, often driving users back to the drug before completion of the withdrawal process. A Xodol residential rehabilitation facility can help you through the withdrawal process, placing you through a detoxification program that reduces the effects of the withdrawal symptoms. A rehab facility also offers therapy after detoxification, helping you develop the tools needed to avoid future relapses. Addiction to Xodol is the direct result of a dependence on the drug developed by an increasing tolerance to its use. Dependence can develop after several weeks of using the drug, with even mild dependency occurring after a few days of use. Taking Xodol repeatedly causes your body to become used to the drug's presence. This reduces the effectiveness of the drug, decreasing the lengths and intensity of the high received from the drug's use. To achieve the same effects from taking the drug once tolerance develops, increasing the dosage level is necessary. Eventually your body becomes dependent on continued high drug levels, leading to addiction. Confidentiality is important to the recovery process. Your presence at a Xodol rehab program is kept private by the program administration, with your medical records kept private as well. In some programs, you can extend the privacy by also having a private room. 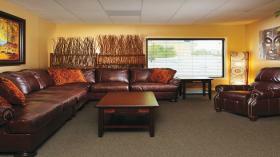 The availability of private rooms depends on the facility that you go to for treatment. Treatment of any addiction can be a long and drawn out process, with the time needed for success dependent on the individual patient. Xodol rehab programs often use 30-day treatment lengths for patients, with the minimum being 30 days and extended treatment taking 60 or 90 days as needed. Longer treatment periods are possible if needed by the patient. In addition to treatment at a Xodol rehabilitation facility, time can be spent at a rehabilitation community, with stays lasting from six months to a year. Treatment in a Xodol rehab program begins with the intake process, during which you're given a medical exam and asked about your medical and drug history. Detoxification follows intake, lasting from three to five days, with 24-hour medical monitoring to deal with any withdrawal symptoms. Addiction therapy is provided after the detox process to deal with addiction issues such as the causes behind your addiction and methods of handling the events that trigger your drug use without taking drugs. Specialized care is provided throughout the treatment process to deal with any other illnesses you may have. After release from rehab, you may need extended care. This care may include further therapy or support group meetings intended to help manage your recovery outside of the rehab facility. Call 1-888-341-7785 for further details regarding Xodol rehabilitation treatment procedures. Treatment costs are determined by both treatment length and the exclusivity of the treatment facility. A large portion of the Xodol rehab program cost is covered by health insurance as a medical expense. The portion that isn't covered can often be paid for by payment plan. In some instances, the process of the rehab program can be reduced through a program discount. Staying near home for treatment can save you money in travel expenses but will limit the number of Xodol treatment centers available to you. Being able to travel provides you with a much wider variety of programs to choose from, increasing the odds of finding a program that you can successfully complete. If work-related concerns are hindering you or a relative from getting assistance for a narcotic or prescription drug issue or behavioral addiction, executive rehab treatments will be what you need. Pairing top drug, alcohol or behavioral addiction treatments with the freedom of computer and mobile access, a businessman or woman can get support while staying relatively "plugged in". 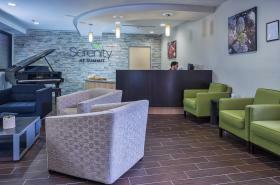 Often, contemporary substance addiction and behavioral treatment facilities feature the nicest amenities you would only expect in exquisite hotels, with your comfort and well-being being the primary goals. From 5-star chef-prepared meals and fine linens to gym facilities and private rooms, you can get the best-rated drug, alcohol or behavioral addiction treatment for yourself or your relative while relaxing in comfort. For assistance in looking for the top-rated luxury treatment centers for Xodol addiction, dial our no-cost hotline as soon as possible at 1-888-341-7785. After rehabilitation treatment in a Xodol rehab program, you'll have to continue to work at remaining drug-free. This is helped by the availability of continued therapy to find the reasons behind your drug use. The support offered by groups such as Narcotics Anonymous is also important. By attending support group meetings, you'll be able to share your recovery experiences with others and gain valuable insight into methods of continuing your recovery without relapse. If you're an addict, a call to the same number can give you information on a facility with a Xodol rehab program that can help you break the addiction. The Drug Abuse Warning Network stated that about 86,258 ER visits in 2009 were due to recreational hydrocodone usage. If you suspect that a family member or close friend is addicted to Xodol and wish to provide the support he or she needs to get help, call 1-888-341-7785 today for information on treatment facilities and methods to approach the addict. It's never too late to get help for your addiction to Xodol. With a bit of commitment, you can break your addiction and begin living the drug-free life you want. -Rehabs.com Before rehab, you should learn as much about the rehabilitation process as possible. For family members or friends, learn how to hold an intervention -- a controlled confrontation with an addict by family members and friends in order to convince the addict to seek help. For the addict, learn about the intake process for admission into a Xodol treatment center. You may also want to learn about the detox process used by a Xodol rehab program to rid your body of the drug, as well as whether you want to receive therapy via an inpatient or outpatient program. Find out the treatment methods used by various programs as well, whether a 12-step program, a holistic approach or a faith-based method is used. After a lengthy period of treatment, a sober living facility may be a good choice to help you ease back into living a drug-free life. You should examine sober living communities as an aftercare option, as well as any other aftercare services available in your area. Ongoing therapy or support groups can be incredibly helpful after your release from the rehab program. It's never too late to get help for your addiction to Xodol. With a bit of commitment, you can break your addiction and begin living the drug-free life you want. You can take your first step toward addiction recovery by calling 1-888-341-7785 to locate a Xodol rehab program that matches your needs. What are the slang, street names or nicknames for Xodol? Drugs containing hydrocodone are the second most commonly found opioid in pharmacologic drugs, according to the DEA’s National Forensic Laboratory Information System. While there is no specific street name for Xodol, the drug may be sold under the name “hydro” due to its hydrocodone component. Am I addicted to Xodol? Withdrawal can be avoided by going through medically assisted detoxification in a Xodol rehab program. What are the long-term effects of Xodol abuse? The acetaminophen component of Xodol can cause liver damage when taken over an extended period of time. Long-term use can also lead to hearing loss, chronic constipation, headaches and nausea.